Thats easy peasy ! 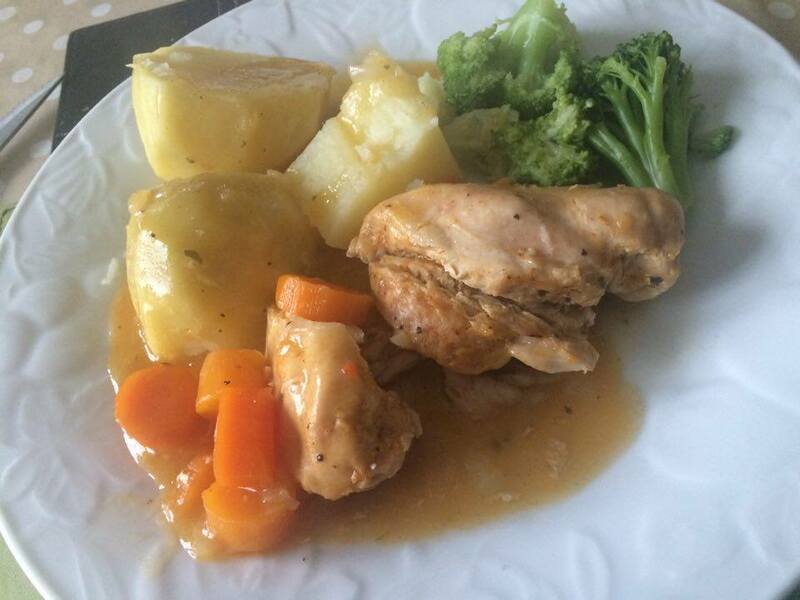 : Thick & Tasty CHICKEN CASSEROLE - and it's Gluten Free! Thick & Tasty CHICKEN CASSEROLE - and it's Gluten Free! Hi Guys. This Casserole is super easy. I tend to just go with the flow when cooking sometimes and just add things in that will seem to go together. Or flavours i fancy on the day! This casserole is one of those days! But super tasty. And is great for GLUTEN FREE diets as I'm using Cornflour to thicken instead of flour and "Knorr" chicken stock pots, which are also Gluten Free. Chicken is such a versatile meat. Chicken Legs i find great for curries - baking them beforehand and shredding the chicken from the bone. They have lots of flavour. The breast meat is great for sambos and salads. But i also find them great for casseroles like this. In a large skillet/pot, add a little Rapeseed Oil on a med-high heat. To this add a shaking of: chicken spice; meat spice; salt; pepper and mix. Place chicken breasts in and brown on one side for 4 mins. Add same spices to top side of chicken and then turn when ready to brown off. 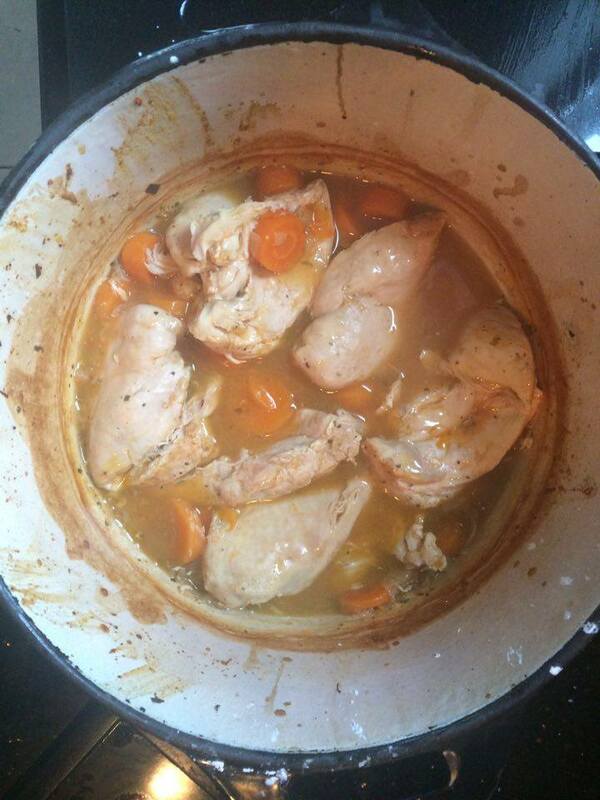 (Tip here: Do not be tempted to lift the chicken up before it's browned off as it will only stick to the pot. You'll know when it's ready to turn as it won't stick and will easily turn.) Remove when browned and set aside. Add a squeeze of Flora Cuisine to the pot and give it a stir to get all those yummy flavours and juices infused. Next, saute chopped red onion for about a minute. To this, add a good splash of white wine and a clove of garlic, grated. Cook until the wine is cooked off and then mix in 2tbsp of cornflour, mixing for about 30 secs. Thanks for this great Gluten free recipe.